Even though I work for The Career Development Center, I still learn a lot when I take the time to utilize the resources myself and I would like to share with you a piece of advice I got during a career consultation that I found really valuable. That advice was to join a professional organization related to my field. This advice was really valuable to me mainly because it had never really occurred to me, I didn’t think that it would be useful to join a professional organization until I was actually a professional in my field, not just a student. While it is true that some of the resources provided by professional organizations is only useful to people that are already in their career, in my experience there are still plenty of resources that are useful for students. Now a lot of this is going to be speaking from my experience joining the American Chemical Society, I don’t know for sure that everything I say is going to be applicable to every professional organization. That being said, if you know of any professional organizations related to your field I encourage you to check them out and see if they’ll be worth joining, and here are some reasons why. First of all, I got to enjoy the luxury of student pricing. The membership dues were significantly less expensive for a student, and if you ever decide to go to any conferences or anything then those are a lot cheaper too. I also have access to a lot of really valuable field-specific career resources. Career advice and help from a huge group of people that are all in the same career path as me. There’s even a job board that is only available to members that I can use to search for jobs after graduation. Another thing you get when you join a professional organization is access to a big network of people and it becomes easier to reach out to them and bring them into your personal professional network. Over the summer I attended an ACS conference which was a great opportunity to meet people, see what people in the field are working on, and hear from awesome speakers. Networking is very important in the career development and job search process so this becomes an invaluable resource. Last but not least, membership in a professional organization is definitely something that you can put on your resume. While it’s not advisable to do something only to put it on your resume and not get anything else out of it, it’s still a plus. So I encourage everyone to look into whether your field has an influential professional organization and see about signing up. Posted in Career Corner, Networking, Workplace Success. It might sound strange, but “storytelling” is an important skill to have when job searching. I have been providing interviewing consultations for the past year and a half, and this is the most important thing that I have learned. Why is it important to be able to tell a story? Ultimately, a good story is memorable and teaches the listener something about the teller. When job searching, the most important thing you need to do well is to be able to paint a picture of yourself for others. Employers want someone with (a) skills to do the job, and (b) ability to fit into their work culture and environment. Your resume will demonstrate your skills. Everyone interviewing for the position probably has the same skills that you do, otherwise they wouldn’t have an interview. 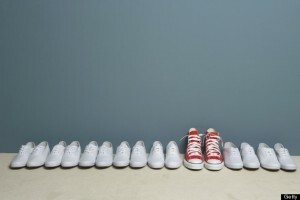 So what sets you apart from everyone else? You. You set yourself apart with your personality, values, and goals. All of these things should align with the company or organization and position, for which you are applying. A good story can illustrate this fit. Research common interview questions. These are easy enough to find via google. Sometimes these questions might not seem as if they are looking for a story, but always tell a story. For example: What are your greatest strengths? You might answer simply by stating “I am hardworking, a great listener, and always positive.” But this is not very impactful or memorable. Instead, start with this statement and then follow it up with a story about a time in which you have demonstrated these traits. The story that you come up with, could probably be applied to other questions, even if they do not ask you this exact one. A good story is specific. A generalization is not a good story. For example “I am a great multitasker because I do that at work all the time. I am always having to balance talking to students, answering e-mails, and programming.” A specific version of that might sound more like this “Yes I can multitask. One day at my job with Career Services I was feeling very swamped. I was trying to finish a blog, create some powerpoint presentations, and answer e-mails, all in between my consulting appointments and meetings. So in order to get it all done, I made a list of all my tasks with the due dates next to them. Every time I had a free minute, I focused on the task at hand. I temporarily ignored other things, like e-mail so that I could accomplish the most important ones. I was able to focus enough to get everything done on time and my work was some of my best quality because I was focused.” This version tells you much more about what I do, how I handle those situations, and if way more memorable. You can make anything into a story. Think about activities you have been involved with (i.e. school, work, clubs, sports, volunteering, internships, job shadowing, etc.) Which of these activities could contain some stories? Have you ever had a particular experience that has stuck with you? A time when you learned something? If so, great! Use that as a story! If you are having a hard time thinking of a particular story, think of the things that you did on a regular basis and consider turning that into a story. For example: Perhaps you are a student and every term/semester you have to balance school, your part-time job, and time for yourself. Was there a particular term/semester that was hard for you? Think back to that time and think of it as a story. “One particular term, I was very busy. I had a lot of hard classes and I was swamped at work. I started to get behind in my classes, so I was feeling overwhelmed. So, in order to make sure I was able to do well, I started asking my professors for help during office hours. I also talked to my boss at work so that they understood what was going on and could help by lessening my hours temporarily. I organized my homework on a calendar so that I always knew when the deadlines were. I ended up catching up in my classes and doing great that term. I learned that sometimes in order to do your best you have to ask for help.” This might seem like something everyone does, but putting it in the form of a story, grabs the attention of the listener, and helps them to learn more about you. A good story has an end. A common mistake that many people make, is start a great story, but not give it the ending it deserves. I believe this is often due to the fact that they are focused on the tasks and action aspects of the story. These parts are important. But the ending demonstrates the impact of your tasks and actions. For example someone might tell a story like this: “For my science class we were assigned a group project. We were supposed to create a demonstration of a volcano eruption. At first, no one was sure where to start, so I assigned tasks for the group and made sure everyone had something important to do….” And then what? What happened? Always conclude your story with result. How did it go? Did you make the volcano? What grade did you get? Were your group members happy and cooperative? The ending demonstrates that you learned or earned something from the experience. A good story is authentic. Do not be afraid to tell a story because you think it might make you look “bad”. Unless you learned nothing from a bad experience (unlikely) you can always make it into a good story. For example, everyone is always afraid of the infamous, “what is your greatest weakness?” question. This means that you must reveal your weakness! But, if you are honest, you know what your weakness is. We all have one. What the interviewer wants to know is that you recognize it and know how to deal with your weakness. So how could you demonstrate that…Oh I know! A STORY! Tell a story about a time when you struggled with something. Maybe you failed a test because you procrastinated, or maybe you forgot to pick up your sister because you were not organized. Whatever, your story is, I am sure you learned something from it and now practice ways to combat making the same mistakes again. Or you caught yourself just in time to fix the problem before it got too big. Sometimes the weakness stories are the best stories. They show growth and ability to solve your own problems, which is very valuable. Well, those are my most amazing tips for storytelling! Remember, storytelling is all about revealing who you are. That person is amazing! Everyone wants to know that person, including your interviewer or potential employer. Limiting your answers to what you think they might want to hear, only puts a barrier between you and your audience. Storytelling can break that barrier. So go forth and tell stories! Posted in Interviewing Skills, Networking. Help! I Can’t Find Companies In My Field! As a student that isn’t very involved in their chosen field yet, it can be hard to come up with a list of companies to target when it comes time to search for a job for after graduation. You can do general Google searches, but that process is inefficient and can actually be surprisingly ineffective. Even Career Fairs will be very limited help if the field you’re going into doesn’t have a lot of prospects in this region of the US. Here are a few options for you to help you target new companies in your job search. Be aware of geography. Maybe you’re someone graduating with a major that can work anywhere, but not all majors have that freedom. Do some research on what geographic areas have a high concentration of companies in your field (a well-known example is Silicon Valley) and concentrate your research there. It’s not impossible to find jobs in areas that don’t have a lot of companies relevant to you, but it is going to be harder. Join a professional organization. Many professional organizations will have specific career resources available to you. You can discover companies in your field through the career resources they provide or even through who they’re connected to on LinkedIn – assuming the professional organization has a LinkedIn presence (they usually do). 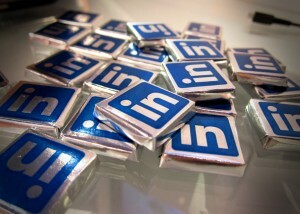 LinkedIn is a useful tool in general. You can find jobs, follow companies and see related companies, and even enter cities that you’re interested in and it will pull up companies in the area. Don’t be afraid to message people on LinkedIn to start making connections – either by directly expressing your interest in working for them or using it as an informational interview experience. Use the internet to your best advantage. Sites like Monster and Indeed are well known, but it might be advantageous to find less well-known sites that are set up differently. For example, Glassdoor is a site that’s more about researching companies rather than finding any job listing – what it’s like to work for that company, salaries, etc. AfterCollegeJobs is a site that specifically advertises entry-level and internship positions that are appropriate for a new graduate. There are undoubtedly many more tools you could use, you just have to find them! Meet with a Career Consultant. Last, but certainly not least, career consultants are professionals in the field of helping you build your career! Meet with a Consultant at OSU’s Career Services office to get great tips on how to optimize your job search. Sign in to Beaver Careers to make an appointment! Posted in Career Exploration, Job Search Strategies, Networking. Why Network? Boom! You’re Welcome. Why Network? Boom you’re welcome! According to ABC News 80% of jobs are landed through networking, so stop spending so much time applying and get working on networking. Does everyone in your network know you are looking for the next step in your career? If no, let them all know, keep them updated on your opportunities, interviews, and offers. This is not only great marketing of yourself but also helps trigger peoples minds the next time they hear of a job opening. Why LINKEDIN? – It is in all caps for a reason. It is an unlimited resource for staying connected to your professional network but also helps you connect to people who you may want to work with. I landed a job interview with a company I really wanted to work for just by asking the CEO on Linkedin. So take some time connect with everyone you know and post about topics in your industry to the newsfeed. This shows you are educated of what is happening in your field but also helps people remember you for what you are great at. Relationships are like pulses. You need to pump in order to keep them alive. Start going to coffee, lunch, or dinner with people that might be able to help you or keep you informed on another career opportunity. This takes a lot of work. It may seem weird to contact someone who you haven’t talked to for a year but just do it! Most people respond well. Once you have some momentum in your career, start helping others and pay it forward. It seems simple but most people get into their offices, sit at their comfy desk, and never think to maintain relationships outside their inner circle. So pump the relationship and be there for people when they are exploring their own careers. Send Thank yous! Why is it so hard? Oh wait, it isn’t. This creates a great image for yourself when you show gratitude and also makes you happier. Being happy, staying focused, and pursuing your passion should make you excited in the morning when networking. If not, maybe it is time change it up and find a new career you want. Planning on attending the Spring Career Fair? Have you thought about what you are going to wear? If you are still wondering what to wear, look no further for your sound advice from a wise wardrobe sage. 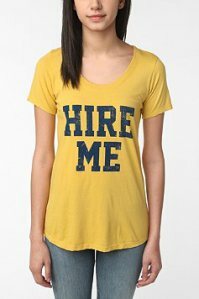 It is actually VERY important that you take some time to think about what to wear at the Career Fair. Although we have been told since chil dhood that one’s character is more important than one’s appearance, this is not an excuse to wear your everyday outfit to job search. In this competitive world, you need every advantage you can get. So as the saying goes “dress for success”; especially if you are actively seeking a job or internship. At the Career Fair you might meet someone who actually wants to interview you. Dressing appropriately demonstrates a serious commitment to landing a job. It shows that you took the time to do your homework and look nice. It also demonstrates that you are a professional, well-put together person, who knows how to dress appropriately. Dressing appropriately is not something that an employer wants to teach you. They expect you to know that already. At this point, you might be asking yourself “But how do I know what is appropriate to wear?” First I shall give you my top five list of what NOT to wear. Yoga Pants, Yoga Pants, Yoga Pants! Maybe if I say it three times, they will disappear. Ladies, I understand what a genius invention yoga pants are. I wear my yoga pants whenever I can justify it. But you know where I don’t wear them? Work. School. Giving a presentation. And JOB SEARCHING. Although they are the most comfy-fantastic leg wear on the planet, they are not appropriate for a professional situation. This rule also applies to tights, leggings, and any other form of legwear which is basically just a second layer of skin. Also, pairing such outfits with long shirts, still not professional. Jeans. Again one of the most amazing clothing items known to the human race. But unfortunately not considered professional. No matter how dark the wash.
Tennis Shoes/ sneakers. Guys, this one is for you. Even if you get every other part of your outfit right, your brightly colored sneakers stick out from your black slacks like a bull in a china shop. You can easily find a cheap pair of nice dress shoes at your local Payless Shoe Store. Make the investment, you will not regret it. Athletic wear. I know I already thoroughly covered yoga pants and tennis shoes, but basically all forms of athletic wear should not be worn in a professional setting. Including (but not limited to): Sweatpants, athletic shorts, t-shirts, etc. Any item which includes the following words: Top, spaghetti, mini, low-cut, v-neck, etc. Part of being professional is knowing that no matter how cute something is, it isn’t always appropriate. Just ask your grandmother. Your shirts should have collars and your bottoms should at least hit your fingertips at the hemline. Did I mention yoga pants? But in all seriousness, these rules will help you grow in your journey towards becoming a professional. Now, you might be wondering what you should wear. I am not going to spend a whole lot of time in this area because I am afraid that my suggestions will be misconstrued without proper examples. For example: If I say “skirts” you might interpret this as “mini-skirt”. In case you were wondering, that is not what I meant. So instead, I will leave you with this tip: Go to a professional place of business and look at what they are wearing, for example a bank. I know that there will be some silly bank teller that will break my rules, but you should be able to identify who is dressed correctly and who is not. The people who dress correctly will look competent, professional, and let’s face it, powerful. You might also look to a cool older sibling or friends who is in a professional position for advice. The best way to learn what to wear is to observe others who have experience. What will you be wearing to Spring Career Fair? How do you dress for success and stay true to your own style? Posted in Career Fair, Job Search Strategies, Just for fun, Life, Networking. 3. You can stop and get coffee at Dutch Bros. on the way. And check out the new Beaver Store! 4. It’s a chance to see how long you can wear those fancy shoes before you have to take a break. 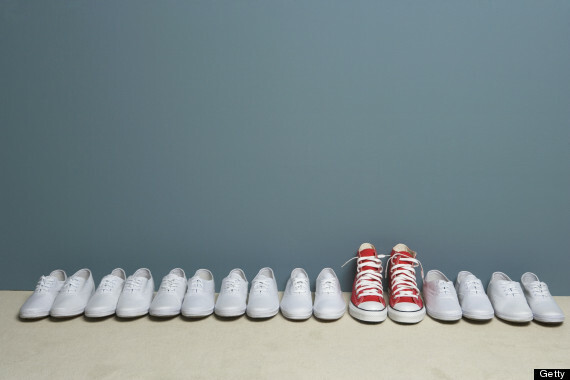 Often, there aren’t a lot of opportunities to dress professionally as a student. For Career Fair, it is a chance to dress in your best business casual or business formal attire and practice behaving as a professional—which is what you are! It can be fun, and definitely confidence boosting. 5. You can eavesdrop on professional conversations! You will be walking through and standing close to many people who are conversing with professionals and recruiters from various industries. As a first year student, take advantage of the time to “listen in” and learn some of the nuances of a networking conversation. You might learn a bit about what to expect for conversations in your future, and what you might want to think about or practice. 7. See who’ll be there next time. 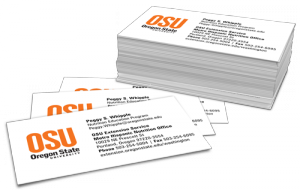 Career fairs occur at OSU every term except during the summer. While there are different employers present every fair, there are also returning employers. If you can introduce yourself this time, or get an idea of who might be there in the Spring or Fall, you’ll have a jump start on preparing, terms in advance! 8. Get familiar with the setting. It can be intimidating to walk into an unfamiliar place and attempt to put on a professional face. Use this time to just get comfortable with the environment—where to go, how to dress, how to drop off your backpack and what to bring. You can get an idea of the venue and the culture of the fair, so next time, you aren’t navigating any confusion in that way, but can focus just on getting to know the recruiters. 9. Find some motivation for those classes you’re taking. During coursework on campus, especially in the first two years or so, it can be difficult to see how what you’re learning is going to apply in the “real world” (Chemistry, Calculus, and Writing, oh my!). When you interact with employers in this setting, you may start to develop a more accurate and interesting picture of how your education now will be applicable in the future. The experience can also help you get a sense for what you might want to pay attention to and work on “between the lines” of the syllabi for classes. For example, how are your communication skills? Critical thinking and problem solving? What sort of transferable skills can you strengthen and learn, even while getting through that Health requirement? 10. Get some candy, pens, bags, and other forms of SWAG—all while making connections and practicing your social and communication skills the old-fashioned way, which most employers still value more highly—without a screen separating you from them! Collecting goodies is not the point of any career fair. However, approaching a table to grab a cool water bottle may open up interactions between you and any number of professionals. You will be creating connections, taking risks and learning about yourself and the world, in actual face-to-face encounters, which are becoming more and more rare. And then, as a bonus, you get to go home with some gadgets and pens and candy, as a reminder of your experience and some encouragement t o come back next time! Remember– University-wide and Engineering Career Fairs are next week, February 19th and 20th in the CH2M Hill Alumni Center, across from Reser Stadium! Stop by and say hi and have a fun and productive time! Posted in Career Fair, Just for fun, Networking. I specifically use the word “relations” and not “connections”, because it implies that you have created a mutually beneficial relationship with a person. A connection is more of a one-way relationship; you keep in contact with a connection when in the future you want something from that person. I want you to build positive relationships with people, where you don’t feel awkward commenting on their post on LinkedIn or Facebook. You should not feel uncomfortable asking about how they are doing and what is new with their kids. So here are 3 steps to build quality relationships. Foundation: When meeting people in places of power in their career or a classmate you talk to in class, remember their name and start a conversation that isn’t always on the subject where do they work, and what’s their major. People are not just what they do, so find out more about them. Learn about where they are from, what’s their family like, what are they interesting or passionate in. You will take them by surprise and most likely spark a relationship. Build: Normally, for quality relationships to form, you need to see that person more than once. Make sure to invite them to coffee and if you see them in class everyday maybe start sharing stories of your life. This personalizes your relationship and it shows that you’re interested in knowing them. The goal is to really have that person say, after knowing you for a little bit, what a nice person you are to their friends. By the end of the build time you should be connected with them over some form of social media that shows you in a somewhat professional manner. Maintain: You might not see that person very often any more but you can still do things to maintain the relationship. Comment on the post, wish them a happy thanksgiving, ask about their families, congratulate them when they get married, comment on their new profile picture, and if that person did something nice for you in the past, just show gratitude and send a thank you. Call them or text them occasionally, saying that you miss having them around. I know from experience that this works because I have stayed in contact with people I haven’t seen in 3 -5 years and still when I ask if they like to go get coffee – they say yes. So go out there and build relations with the people around you — don’t be a stranger! Something I think not a lot of students realize is that you can definitely make student business cards, and, in fact, it’s highly recommended that you do. They’re a great option for Career Fairs, so you can leave your information with an employer even in situations where it might not be appropriate to leave your entire resume. Business cards are very professional and are a great resource for networking. I recently personally made some new business cards so I wanted to share the process and some thi ngs I noticed. I personally also included my expected graduation date, and on the back a QR code that goes to my LinkedIn profile. Make sure you only do the latter if your profile is complete and you are going to make sure to keep your profile up to date and professional. Make sure you triple-check everything to eliminate any mistakes before you place your order! You can even get a business card holder if you want, or just use whatever method you want to keep your cards nice. Now you’re ready to start networking! Posted in Career Fair, Job Search Strategies, Networking. As an introvert myself, I find that preparing is the key to being successful at these types of events. The initial idea of going to a crowded place, where the goal is to have some conversations with strangers, does not sound like my cup of tea. In my younger years, I had many similar experiences that were not beneficial for me and only resulted in a few very awkward conversations and free pens. However, it is a valuable use of time if one is prepared. B y researching companies and people that are coming, preparing casual conversation topics, and preparing questions, you can have a successful experience at the event. Introverts feel most comfortable in situations in which they feel knowledgeable about the topic of conversation. If you have questions prepared and know a little about the companies and people you want to talk to you, it is going to make the conversations flow a lot easier. You will be empowered to initiate a conversation and feel knowledgeable enough to contribute to it. Introverts often feel that if they are going to say something, it should be something valuable. Having a basis of knowledge about the company and what they are working on will provide you with valuable things to say. However, don’t hesitate to talk about topics that you think the employer probably already knows about. Just because they know it, doesn’t mean that they don’t want to know that you are aware of it as well. The goal is to demonstrate your knowledge to them. Now comes the hard part. Taking a deep breath and actually going to the event. Put it in your calendar and give yourself a deadline for researching companies and people that will be there, so that you will have no excuse not to go. It is too easy to “forget” to prepare for it. Don’t take the easy way out. Hold yourself accountable and make sure you get there. You could even ask a friend to go with you. Once you walk in the door and wander around for a bit, you might feel the urge to quietly slink out the door, to breath in the sweet relief of solitude. Don’t give in! Do what you came to do and talk to some people. You might want to make a goal ahead of time. For example: I will have at least two successful conversations before I go. Unfortunately, it might take you more than two conversations to meet this goal. Humans are unpredictable creatures and as much as you would like your conversations to go as you had planned, they don’t always. Some people might be more willing to chat with you than others. Sometimes certain people are very popular and you might have a hard time finding an opportunity to chat with them. You might encounter a fellow introvert who might not always give you enough information to initiate further conversation. But be sure and use the questions and knowledge you prepared. Even introverts can have great conversations about a topic that they are knowledgeable about, but they might need prodding more than others. If an employer has a very popular table, you might want to wait and come back later. If that is not an option for you, try to make yourself heard and visible. Say “hello”, introduce yourself, and smile. I also would recommend adding something along the lines of “how is it going?” Sometimes people at professional events don’t get asked questions about themselves and it really makes them feel like you care about them and not just a potential job. Identify a topic of conversation that can apply to most people. For example: Think about what day of the week it is. If it is on Monday, you could say something along the lines of “I can’t believe it is Monday already, the weekends just fly by.” If nothing else, this shows that you are capable of small talk. Remember that body language is also important, so try to have upright, confident posture. Also, a common trait among introverts is to look around as you speak. Try to limit this. It can appear as if you are disinterested in the conversation. I often role my eyes while I am thinking about what I am saying, but this can come off as nonchalance. Once you have successfully had some chit chat, you can move into your comfort zone- the reason you are talking to them. Try to confidently articulate the conversation topics you researched ahead of time. When you have exhausted your conversation capabilities, end with attaining some contact information from the person you talked to. “Do you have a business card in case I think of any more questions?” I recommend bringing your own business card or resume to hand out as well. Congratulations! You did it! That wasn’t so bad, right? Once you have met your conversation goal for the event, you may swiftly make an exit. However, you are not done. Don’t let the connections you made go to waste. File the business cards you received with notes to remind you about who they were. For example: Jo Shmoe with Apple Computers- Brown hair, green polka-dot tie, and we talked about internships in HR. Shortly after the event, send Jo Shmoe an e-mail thanking him for chatting with you and inviting him to talk again in the future. Be sure and remind him who you were with some specifics about the conversation you had. Ask Jo Shmoe if he would mind connecting with you on LinkedIn (if you don’t have a LinkedIn, get one). Once Jo Shmoe e-mails you back and says “of course”, you are assured of the beginning of a new relationship that may be useful in the future. But, don’t let your relationship die! Stay in touch and in the near future invite him to coffee for an informational interview. These steps will ensure that your time at the event was not wasted. You now have contacts that might be able to help you get a job someday. By showing interest in them, you are demonstrating your good qualities. There is no need to let intimidating situations deter you from having the career that you want. Everyone has unique qualities and passions to contribute, but you have to make sure that others are aware of those qualities. Networking is a key component of the world of work, so start building those skills now. Posted in Career Fair, Career Fair Tip of the Day, Events, Networking. I receive a fair amount of requests for LinkedIn recommendations, and I usually oblige without hesitation. However, a recent e-mail from an old colleague made me realize there are plenty of “networkers” out there who just don’t get it. I thought he was kidding. But unfortunately, he wasn’t. I haven’t heard from him in years. His request of a recommendation was awful, there was zero effort applied. Apparently I’m only worth 14 words of this guy’s time. If only this “dear friend” of mine knew about the new LinkedIn Contact product. Had he known, he may have received more than a laugh from me. He may have actually gotten his recommendation. All LinkedIn users need to follow these three tips to stay current and ask for help more skillfully. Oh, if you don’t have the new Contact app, you can sign up for the beta release. Keystones: The core of your network. Experts: The people you respect in your field. Tangential Helpers: The people who help you get your job done. Mentors: The people who provide you with guidance. Role Models: The people who have achieved what you are aspiring to. Hubs: The people who connect you with other helpful people. Challengers: The people who cause you to look at your direction and challenge your assumptions. Promoters: The people who recommend you to opportunities. With LinkedIn Contacts, use the Tagging feature (see below) to put your connections into one of these eight categories. My friend’s failed request came out of nowhere. Yet, I’m also sensitive to the fact he probably has an above average network. How can he possibly stay in touch with everyone, right? Well, don’t wait until you need something to touch base with your network. That’s poor practice and is usually pretty obvious. Instead, use LinkedIn’s Reminder feature to remind you to consistently stay in touch. Rule-of-Thumb: You should reach out to your most important contacts at least once every 30 days. Other contacts don’t need to hear from you more than once every few months. Before you forget, go into your contact’s list and set these reminders for yourself. This means you can pick up where you left off in your last conversation. For example, three years ago, this friend of mine and I were talking about creating a website together. The platform never materialized but our idea seems to have become popular, kind of an ironic and fun shared experience. Tip: By linking together past conversations with your latest notes, you help the contact see the nature of your relationship. Your connections are busy (like you) so they may need gentle reminders about why they’re linked up with you. NOTE: This post was written by a guest blogger and the content for the post approved by Oregon State University Career Services. We are not responsible for the content on the guest blogger’s personal website and do not endorse their site. Posted in Career Exploration, Job Search Strategies, Networking, On-the-Job Tips, Social Media.